When Will “Voice Search” Simply be Called “Search”? Observations from the search bar. Remember when “marketing” and “digital marketing” were two separate entities? You know, the good ol’ days when having separate “online” and “offline” strategies were the norm? Oh, how times have changed. 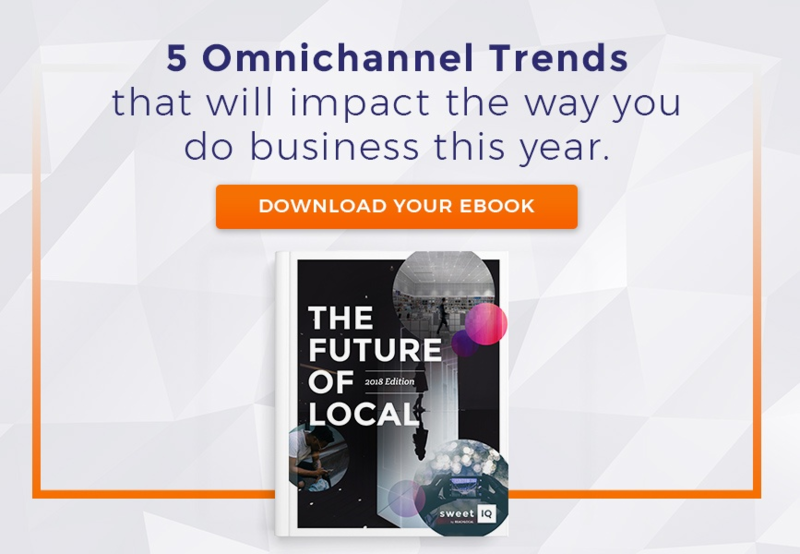 Not only is “digital marketing” just one layer of marketing now, today omnichannel marketing is the norm and has opened countless doors for brands – both big and small – to bridge their brick-and-mortar and ecommerce efforts. What was once “online vs. offline” is now “online-and-offline”. While it seems like light years ago (in marketing time), it’s only been about half a decade since this paradigm shift has started to make loud enough noise to eventually become the norm in most companies. Most. Marketing moves incredibly fast. New Instagram features, Snapchat ad rules, Facebook algorithms…the speed of these feature changes force marketers to stay on their toes. Every. Single. Day. Right now, one of the most crucial search trends emerging is voice search. I delivered a presentation at the iMedia Agency Summit in New Orleans last October, discussing the Retail Crisis and offering SweetIQ’s perspective on the reimagined brick-and-mortar space. An audience member (hello if you are reading this!) asked me how voice search fit in the world of Local Marketing and where I saw its influence. I loved the question! In a dialogue about the nature of omnichannel, it was incredibly in-tune with consumer’s emerging shopping – and therefore buying – behaviours. …And purchases made via at-home assistants, such as Google Home, are expected to reach $40 billion by 2020. Ok, voice search is important. But why is it relevant to the retail evolution? Why? Because they didn’t pay attention to changing behaviours. Research is proving that voice search will soon become second nature, especially to the ultra tech-savvy generation-z’s, generation net’s, and generation alphas, who very well may grow up in the company of a companion like Kuri. Add this to the fact that younger demographics are showing a revitalized interest in shopping in-store? All signs point to the fact that voice search for your brick and mortar is coming. Fast. Someday, we’ll look back on the day where we called “search” “voice search”, and smile.